Spike Jonze’s Where the Wild Things Are is a very strange movie, and whether or not you enjoy it, you won’t be able to deny that fact. I had no hopes for the project when I first heard it announced (a live-action movie based on a beloved picture book is a tough sell), but then came the masterfully edited trailer that set the Internet aflame with high hopes. The film feels kind of like an extended version of that trailer, and all things considered, it’s pretty good. I didn’t fall in love with it, but I do admire Jonze’s vision, and I think it’s a far better picture than most other filmmakers would have made. The film loosely follows the children’s book of the same name by Maurice Sendak; if you haven’t read it, do so before seeing the film. It will take you all of two minutes. A young boy named Max (played by Max Records) runs around the house causing a ruckus. After disrespecting his mother and yelling, “I’ll eat you up!”, Max runs out of the house, climbs into a small boat, and sails to a land where tall, furry creatures live together in the woods (as an interesting side-note, I don’t think the term “wild things” is ever used in the film). At first, the creatures try to eat Max, but he convinces them to make him their king, promising to fix all of their problems. Max soon learns that even in a fantasy world, you can’t always have everything that you want, nor can you always give it to others. The most notable triumph of Where the Wild Things Are is its visual aesthetic. 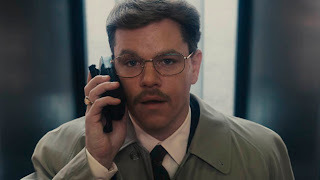 It would have been so easy and tempting to throw gobs of computer-generated effects at this movie, but Spike Jonze took the exact opposite approach. The land of the Wild Things looks completely normal, because it was shot in normal locations. Sure, it has a wide variety of terrain; woods, deserts, beaches, etc., but none of the elements look otherworldly. Then, there are the Wild Things themselves. Some of their facial expressions seem to be digitally enhanced, but that’s it; for the most part, they’re brought to life by actors in costumes. 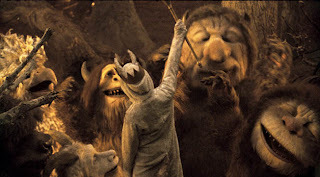 In this age of digitally-rendered hysteria, the Wild Things look almost magical. 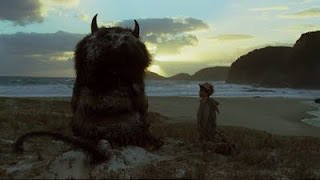 During the ten minutes or so where Max first encounters the Wild Things and sneaks into their camp late at night, I was completely entranced, and I imagine that little kids will be, too. 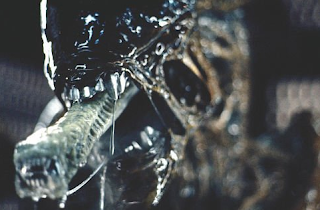 The creatures look absolutely real, and that’s not to say that they look like anything you would encounter in our real world. When I was a young boy, running around in the woods using my imagination, I never imagined anything that looked like most CG movie creatures. I always imagined tangible, living beings that I could grab hold of and wrap my arms around. The look and feel of this movie took me back to those childhood days, and that is a real feat. The movie takes itself very seriously. All of the characters’ problems, no matter how silly, are handled as though they’re very significant. The Wild Things speak with normal human voices, instead of gravelly, monster ones, and the main Wild Thing who befriends Max is a male named Carol (James Gandolfini). Carol can be a good friend, but when he loses his temper, you don’t want to be around; actually, for James Gandolfini, playing Carol probably wasn’t too far a cry from playing Tony Soprano. There were several times where I thought the film took itself too seriously. I know it wanted to use its fantasy story to address real-world problems, but it would have benefitted from fewer somber moments and more old-fashioned fun. The main struggle in adapting such a short book to film is deciding how to fill up the rest of the time. The original Wild Things book contains a sparse ten sentences. While the movie does a good job filling time with light plot elements and long, virtually silent shots, the story and the characters just aren’t all that compelling, making Wild Things more of an experience than a rewarding journey. Director Spike Jonze (Being John Malkovich, Adpatation) has a real flair for quirky, art-house type cinema, and I think he was the right choice for this project. He obviously has tremendous respect for the original material, and grounding the movie in realism was a great choice. I saw Where the Wild Things Are on its opening weekend, and most of the people in the theater were adults; I’m not surprised. People have long spoken fondly of the book, associating it with the best parts of childhood. I think children will be captivated by the film early on, but their attention may wane as the film unfolds. Where the Wild Things Are carries a fairly dark tone, some uneven pacing, and a thin story, but it’s a triumph of atmosphere and style. In its best moments, Where the Wild Things Are reminds us of the magical ups and downs of youth, and that’s more than I had anticipated. MPAA Rating: Rated PG for mild thematic elements, some adventure action, and brief language. Where the Wild Things Are follows in the tradition of most great children’s movies, in that it’s a bit creepy. Children may be frightened at times, but I think most will be fine. 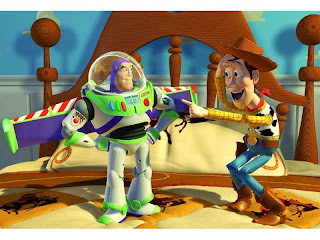 There’s not much to worry about in the way of objectionable content, but some kids may lose interest in the film’s latter-half as the tone and themes are geared more towards adults.